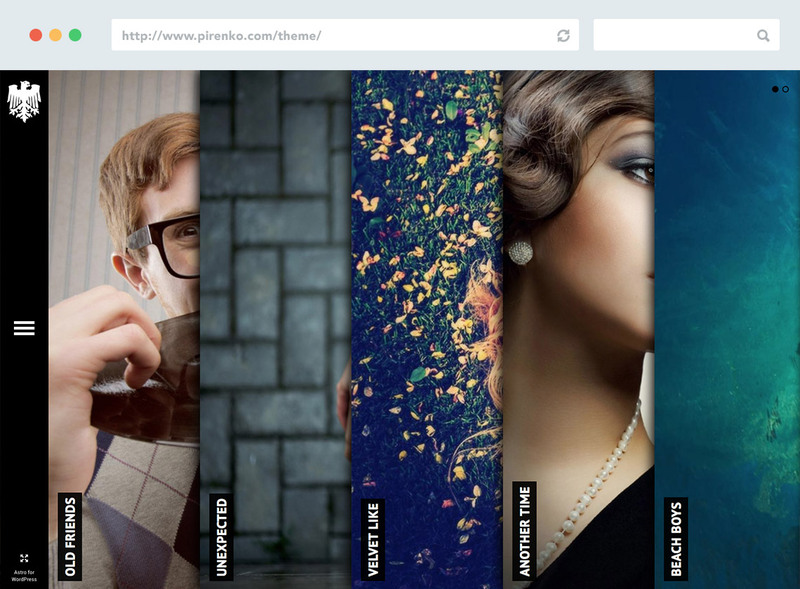 Powerful and easy to use Premium WordPress Themes. A framework already used by more than 11.500 of happy customers. A stylish blogging WordPress Theme. Clean and highly customizable. 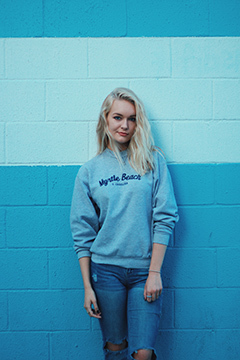 Suitable for any subject with boundless color, typography and layout options. Ready for E-Commerce. 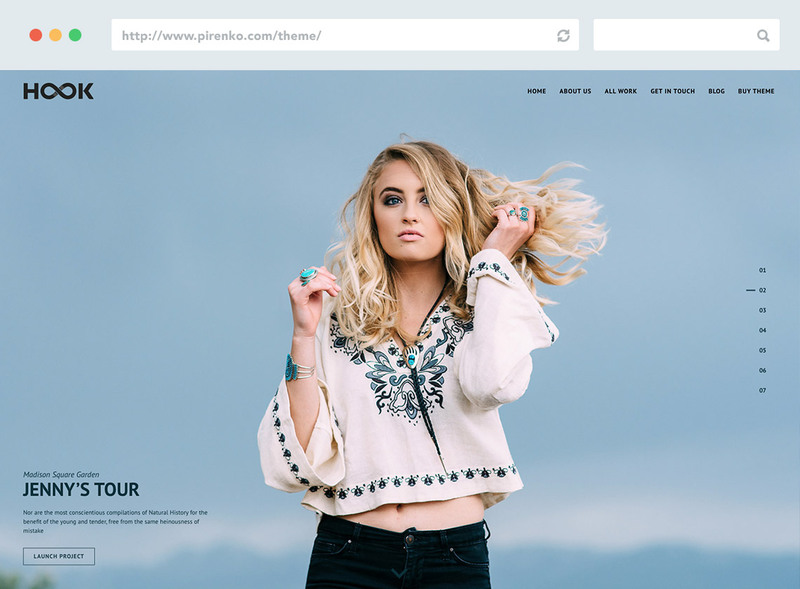 A superior multi-purpose WordPress Theme. Versatile, powerful, easy to use & truly ready for any business. Corporate. Creative. Service. Portfolio. You name it. 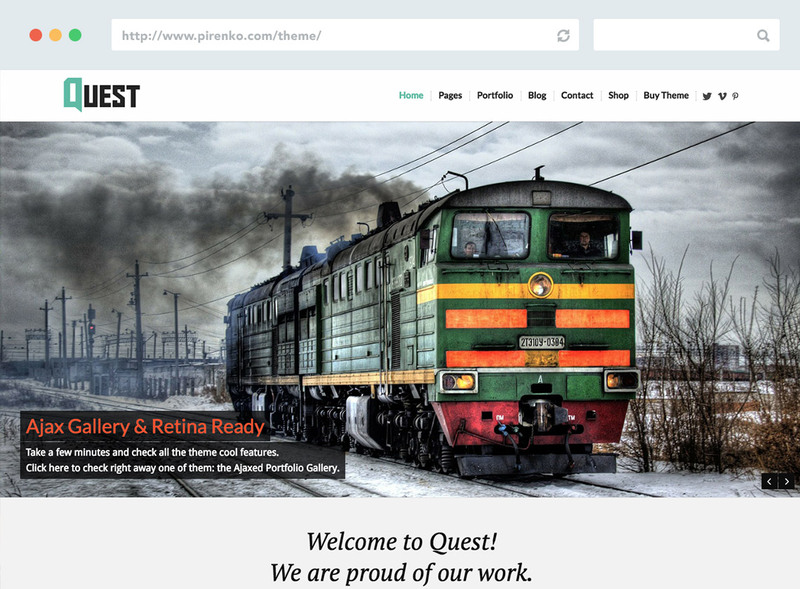 A different approach on a really cool WordPress Theme. 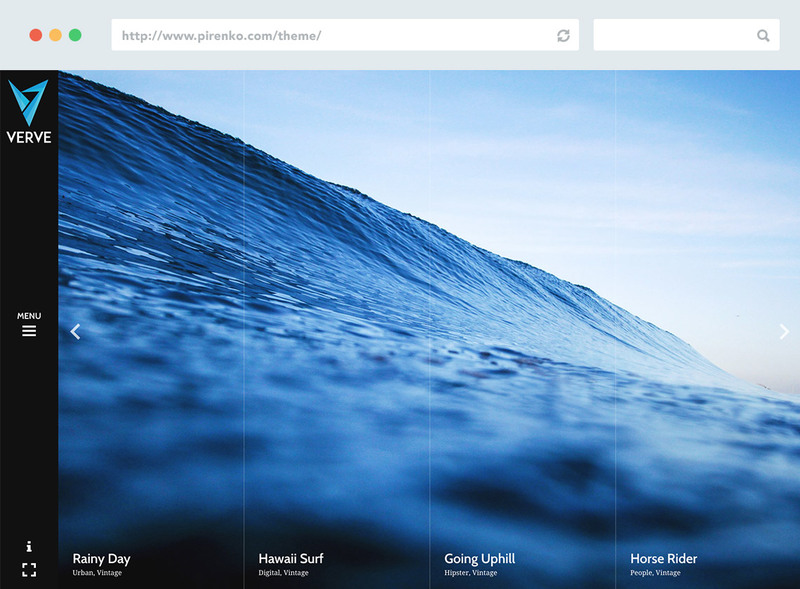 Beautifully designed with side navigation. Great for showcasing products, photography and services. 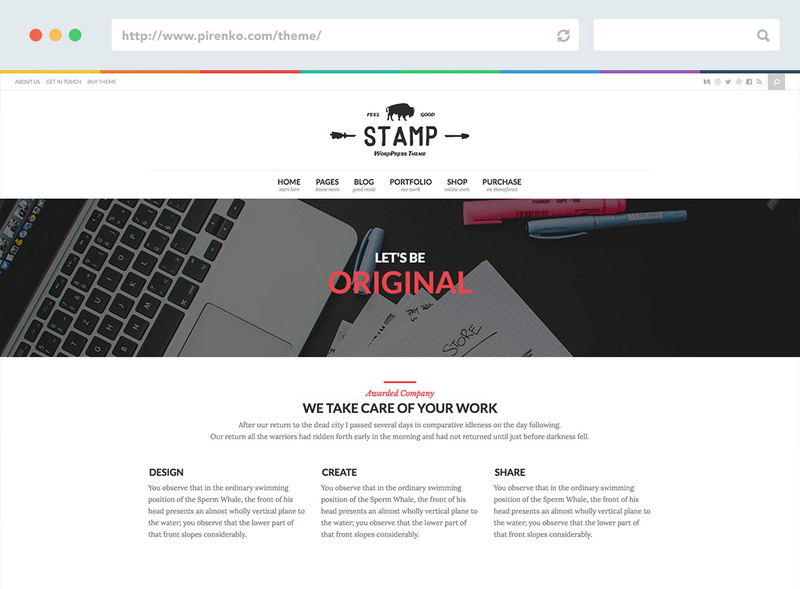 An enjoyable & colored WordPress Theme. Fits all business beautifully. Featuring 18 different and carefully designed demos ready with a single mouse click. 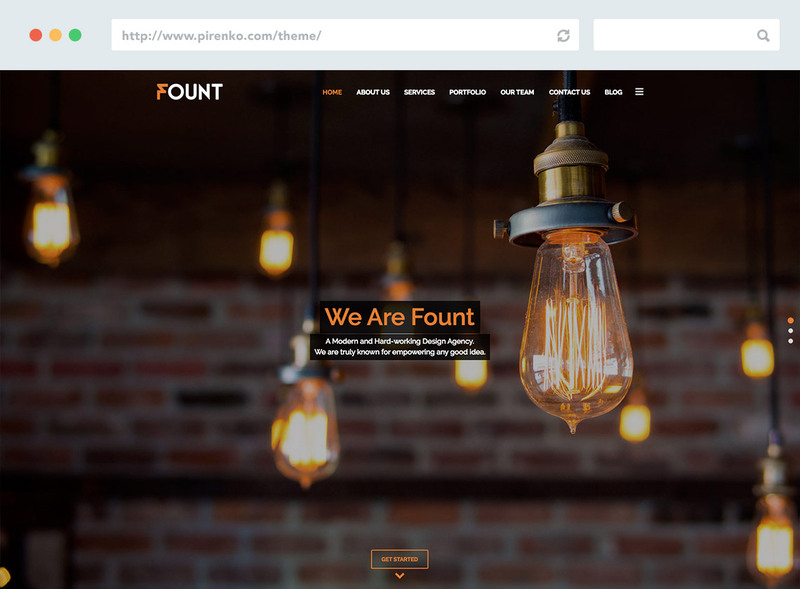 Vibrant & clean WordPress Theme. Great showcase for any business featuring a beautiful and exquisite blog section. Multiple header options for any logo design and size. 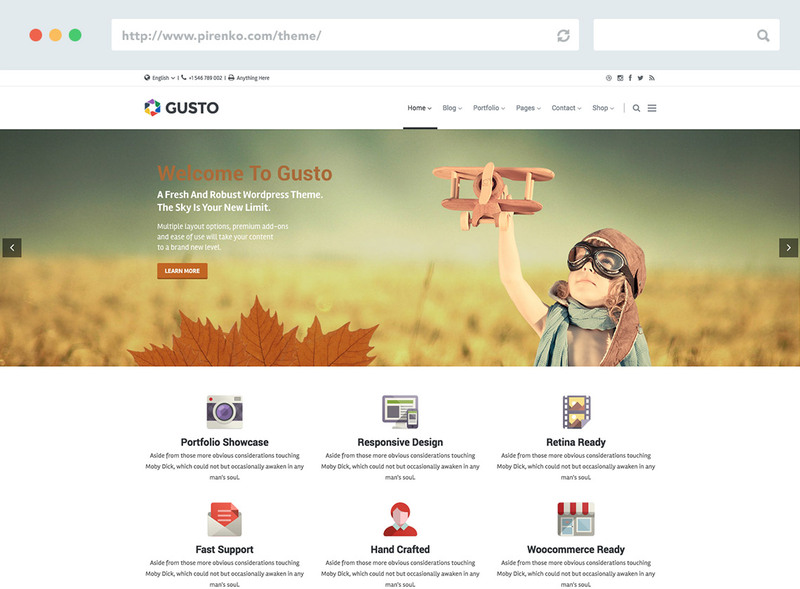 Stylish & exquisite WordPress Theme. Simple, but extremely versatile. Envisioned mostly for blogging, but it is frequently selected to display portfolios too. Optional side navigation. 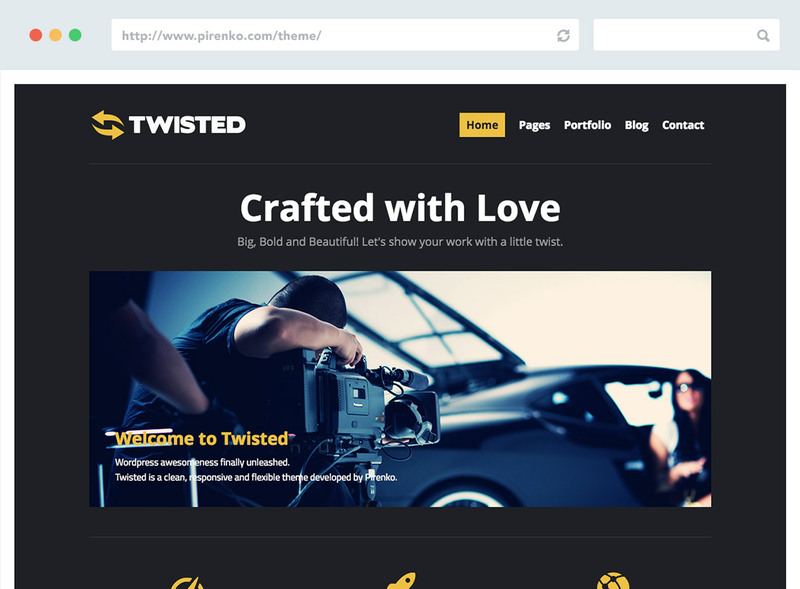 Truly versatile and powerful WordPress Theme. Great for one page websites featuring multiple demos ready with a single mouse click. Loved by agencies and creatives. Multi-purpose business WordPress Theme with some cool features and twists. Perfect for corporate & business websites that want to stand out from the crowd. 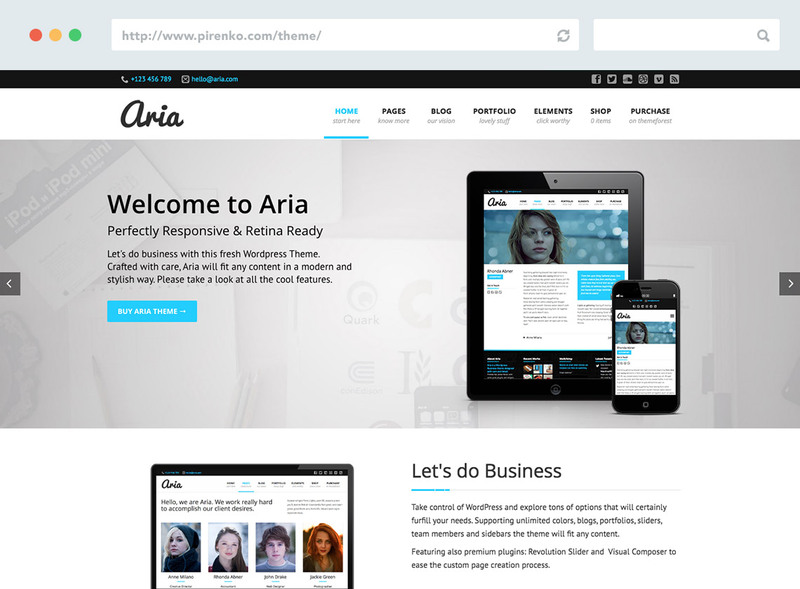 A fullscreen exquisite WordPress Theme. Loved by photographers and creatives. Featuring a cool fullscreen media gallery with aside hidden project information. 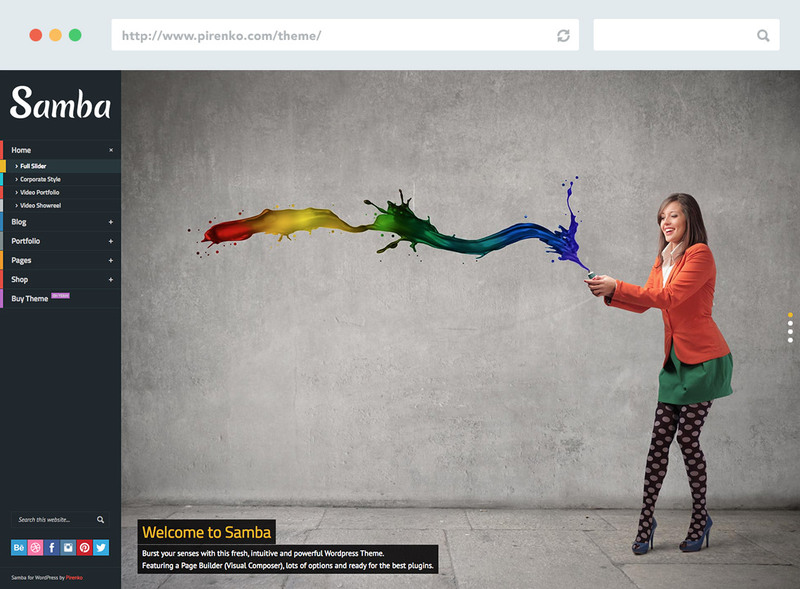 Cheerful and colored WordPress Theme. Fits every business with a professional and exuberant design. Chosen by more than one thousand customers and counting. Clean and linear WordPress Theme. Aria is all about business. Usually seen on finance, medical, tech-related, marketing, industrial and transportation websites. A neat and straightforward WordPress Theme. 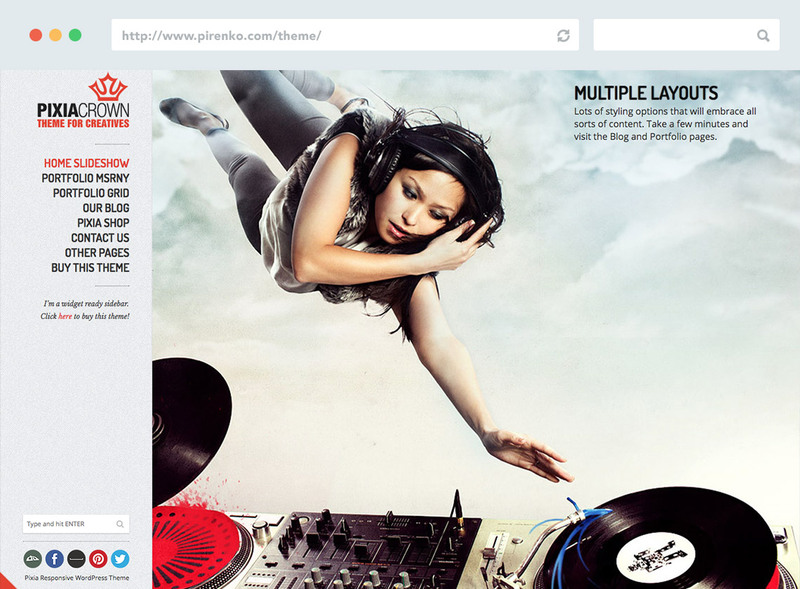 Gorgeous fit for all content with different ways of showcasing portfolio with images and videos. A must-have for design agencies. 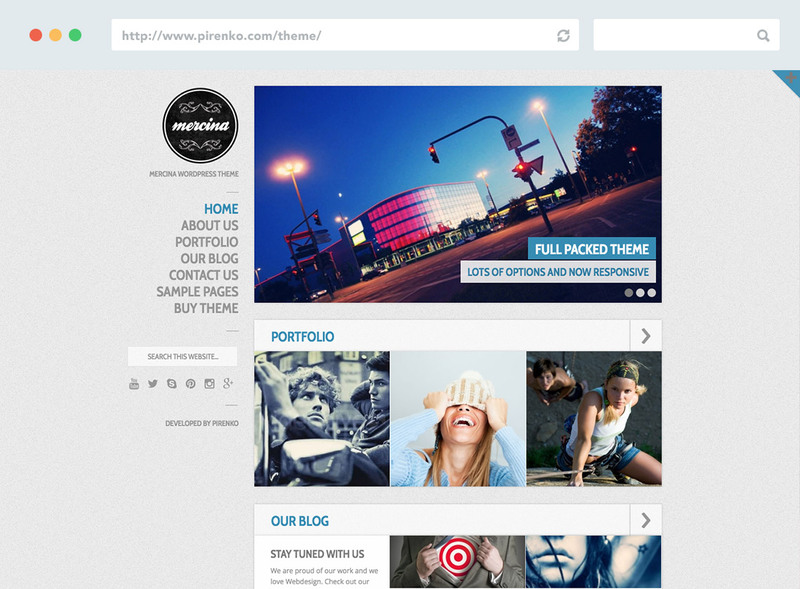 A clean and effective showcase WordPress Theme. Truly a masterpiece for all creatives. 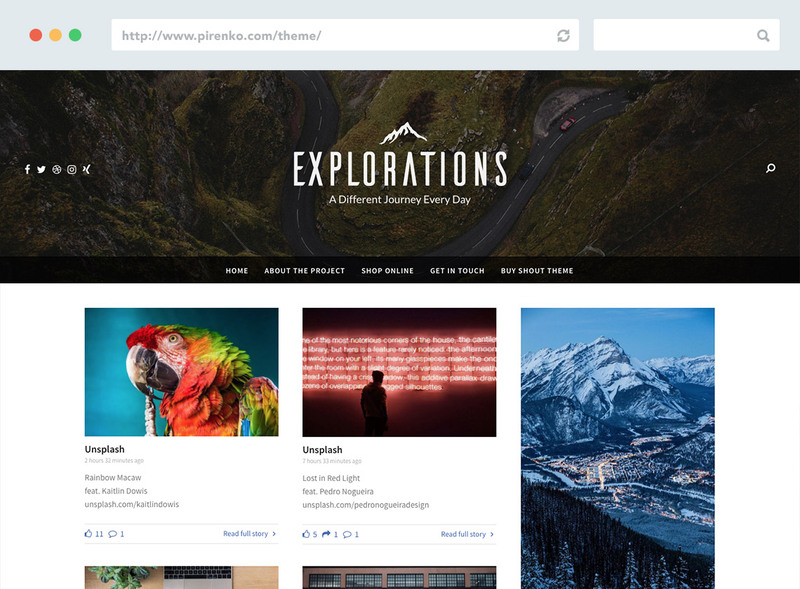 Multiple layout options for portfolios and blog pages or posts. A solid side navigation WordPress Theme. Great for showcases and portfolios, but also for blogs. Works well for photographers, freelancers and artists in general. 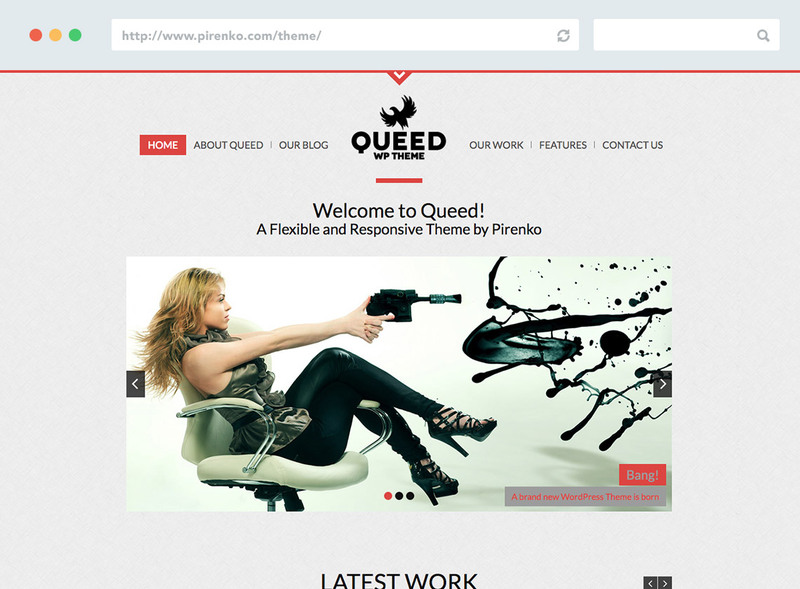 Classy & modern WordPress Theme. Ready for every business. Great to highlight a strong logo near the menu section. E-Commerce ready. Boxed & versatile WordPress Theme. Clean and professional with navigation aside. Great for bloggers, photographers, filmmakers, musicians and freelancers. 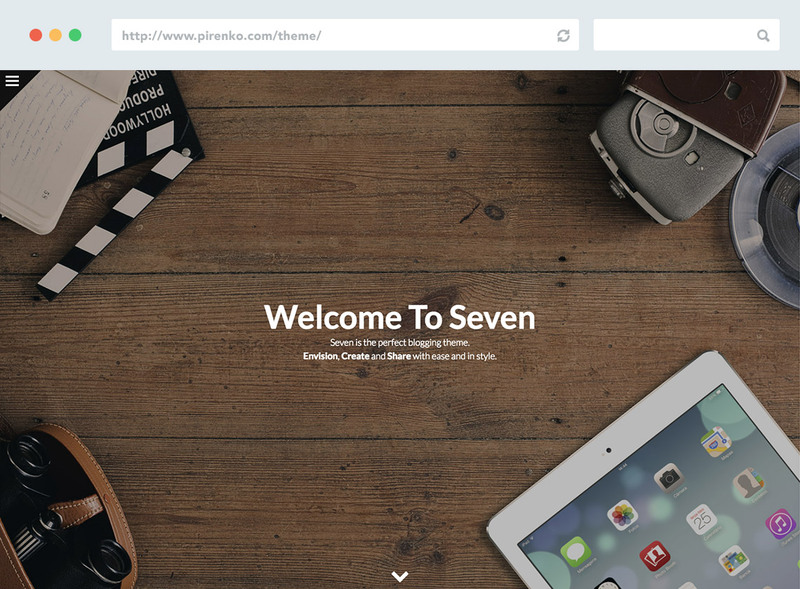 Over the last years we have developed 17 WordPress themes from scratch. We performed hundreds of customizations on WordPress Themes and Plugins. We have also built more than 100 websites from clients all over the world. The main reasons for our success are dedication, honesty and love – lots of it! I would have selected quality of work because it is equal to the great service they provide. This theme is well thought out and designed in a way that sets it apart from many other themes I have purchased. You will be very happy with this purchase. Money well spent. I have been using pirenko themes for a year now and so far there hasn't been a single visual style or graphic layout that I couldn't achieve with Pulse. This is my all-purpose WordPress template that I use most of the time. Keep up the good work, Pirenko! This theme is absolutely gorgeous! It has a vast range of options, it is easy to use and it is beautifully designed with the sole purpose of skyrocketing your blogging experience. The customer support is awesome. Pirenko provides excellent and quick tips related to troubleshooting and customizations.